Dot Ferguson has confirmed HC own the cemetery. The date notified is 15 March. There will be a half road closure. The trustee has notified a problem with running water off the road undermining the building. The problem appeared when streams were diverted to build the new house at Creag Mhor. He has contacted SEPA, Transport Scotland and MSP. 1. Loch Leven Seafood Cafe has applied for a variation in their license to include changes to hours, capacity and off sales. 3. Marine Harvest have changed their name to MOWI. Andy Martin (Manager of Leven site) attended to give an update. They have been using warm water, wrasse and lumpfish to keep the lice down to .5 per fish. They are hoping to go organic next year. He was asked about the underwater seal scared which is heard by wild swimmers in the Loch. Nether Lochaber: proposed community purchase of land in Inchree. 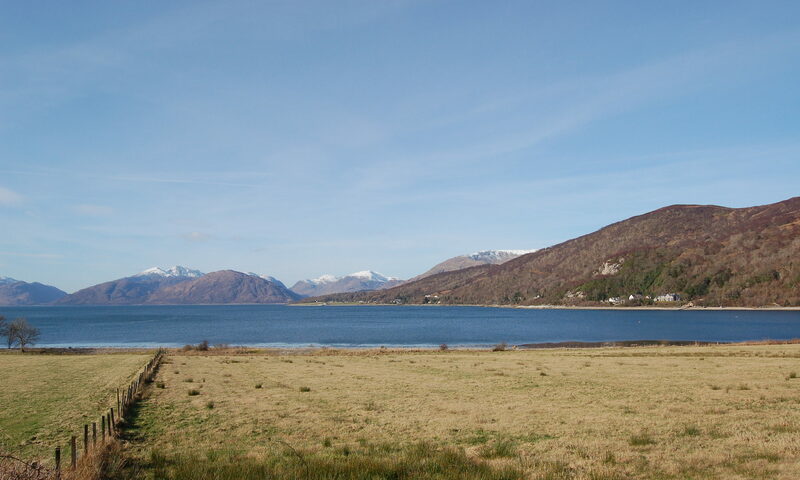 The Inchree Subgroup of the Nether Lochaber Community Association has now been established to gather further ideas and suggestions for the proposal to purchase land on behalf of the local community in Inchree. The Inchree Subgroup meetings are well attended by a group of Inchree residents and are now on a more formal setting with a chairperson, secretary and minute secretary having been appointed. At present, the meetings take place on the first Tuesday of the month, at which you would be very welcome. As part of the Community Association, the Subgroup then provides feedback to its monthly meeting. The main focus of the Inchree Subgroup meetings so far, has been to look at ways to engage the community of Nether Lochaber in this proposed community purchase of land in Inchree. To this end, the Group has produced a leaflet about a ‘drop in’ day at the Nether Lochaber Village Hall on Sunday April 28th from 10.00 – 19.00. Watch out for the leaflet being delivered to your home very soon. The Subgroup hopes that on the day, you will come and share your thoughts, ideas and we would really like for you to get involved in any way you can. Sgt A Cooper has sent a letter to confirm NM as liaison officer and explaining her role. There is now a CC vacancy as NM has stepped down due to conflict with liaison role. 5. Fort William 2040 meeting in Ballachulish. It was felt that planners had edited submissions including a tunnel at Rannoch. Consensus that transport needs to be prioritised before development. Water supply was also raised. AMC attended the meeting and had minutes. St Brides is to be partnered with Glencoe. 4. Jennifer Jarl handed in her resignation as she is now on the Board of the Community Association . She was thanked for her contribution over the years by the chair. There are now two council vacancies. 6. Marlyn MacDonald was supportive of creating additional parking at the school from the end of the playing field. 8. Dial 105 is a little known service which logs your location and notify SSE in the event of a power failure. 9. The Community Service Criminal Justice team will build the new CC noticeboard s if given a template. Two members, Elaine Cameron and Jill Morrow have now joined the Community Association Board. Malcolm Kinnear has discovered a letter from the Church of Scotland trustees dated 1991, asking the council to take over the cemetery. Suggestions were a 3-18 campus In Kinlochleven and St Brides/Glencoe and Ballachulish/Duror with a head for each. Smaller bags, donated by HC, are now in village hall and will be easier to remove. 7. There has been a visit to the MacFatridge site by the planning officer to inspect the encroachment of materials onto this agricultural land. He has written to the owner. 8. Parking at the school has again been raised at a PTA meeting. A suggestion was made to dig up the Community Orchard. 9. The CA has formed a new board which includes Jennifer Jarl .This May lead to a CC vacancy. 10. IJ has taken a new job this may lead to no chair being available on occasion, if both IJ and SL are not available AMC to call the meeting and a chair to be appointed on the night. 11. AB was congratulated on his stand over car parking charges in Fort William.